In 1995, when owner Les Chorley purchased property in Jasper Alberta he also decided to purchase a small batch coffee roaster. This sparked the beginning of Rocky Mountain Roasters. In early years Rocky Mountain Roasters was producing approximately 12,000 lbs of coffee per year and servicing many local coffee shops, grocery stores and offices. As time passed Les would expand product lines to include portion packs, filter packs, and a full line of retail packaging. This allowed Rocky Mountain Roasters to offer all encompassing coffee solutions and market their brand across the country. Les fell in love with the town of Jasper Alberta which is nestled in Jasper National Park in the heart of the Rocky Mountains. 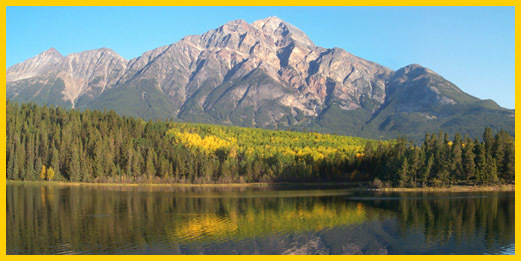 Jasper is a world-class tourist destination visited every year by thousands intent on enjoying the natural beauty of the surrounding area and is it for this reason Rocky Mountain Roasters calls Jasper home. In the late 1990’s to early 2000’s there was a serious crisis in the coffee industry. Coffee prices had declined to the point where farmers were losing their farms, coffee shops were closing and consumers were switching to lower priced and lower quality alternative. Rocky Mountain Roasters felt strongly about focusing on quality coffee and knew they would need to support the hard working farmers if they would be able to remain competitive. In 2003, Rocky Mountain Roasters became a certified “Fair Trade” Coffee Roaster and has maintained their Fair Trade certification ever since. Providing gourmet coffee and superior service to the surrounding communities became the mission goal of Rocky Mountain Roasters. With friendly and efficient service to the various food and beverage outlets in the region, the Company progressed from producing a first blend to purveyor of a wide range of coffees, teas, hot chocolates, condiments and associated products. With coffee came the need for reliable brewing and dispensing equipment. This sparked the expansion of Rocky Mountain Roasters product line once again. They joined the equipment business and began selling, maintaining and repairing high grade coffee equipment. Rocky Mountain Roasters now provides and extensive line of equipment for all your coffee needs. In the late 2000s Rocky Mountain Roasters was experiencing steady growth and with over 300 clients nationwide formed an alliance with Kienna Coffee Roasters. Since the alliance both companies have share in each other success and look forward to a bright future together. With a wide range of coffee products, equipment and coffee services Rocky Mountain Roasters is proud to have established themselves as a major player in the Rocky Mountain coffee industry. Les is still enjoying life in Jasper and has no plans of straying from his mission of providing gourmet coffee and superior service.